The Learning Spaces Collaboratory (LSC) is a collaborating community of researchers, academic leaders, architects, practitioners and other stakeholders who share a commitment to transforming the learning environments for undergraduates in all fields. The primary mission of LSC is to develop resources to inform the practice and process of planning, experiencing and assessing 21st Century learning spaces on campuses across the country. 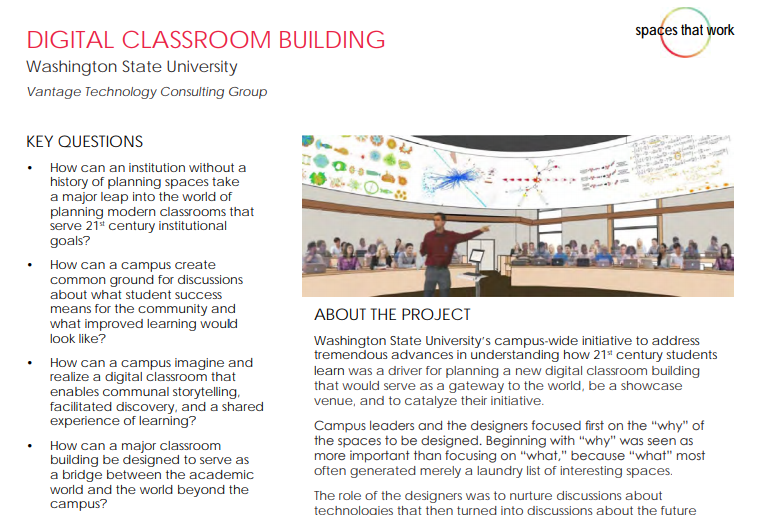 The LSC homepage meets this mission by serving as the portal to reports, stories, conversations, and research that will inform and inspire planning for future learning spaces. Vantage is a sponsor of LSC and has been involved with them for several years. We share their vision and commitment for transforming learning environments. Who’s Driving the Vision of LSC? 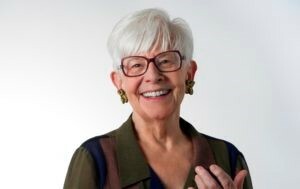 Jeanne Narum is the founding director of LSC. Since 2010, Jeanne’s professional focus has been on promoting best practices in visioning, planning and assessing physical spaces for 21st Century learners and learning communities. From 1989 to 2010, Jean was director of Project Kaleidoscope, an NSF-funded initiative to catalyze the transformation of undergraduate STEM learning environments. In addition, Jeanne worked with National Institute for Technology in Liberal Education (NITLE) to facilitate workshops focused on planning technology-enhanced spaces, information commons and classrooms. She has had leadership responsibility for more than 100 facilities-related activities to realize spaces that matter for communities. What Resources Does LSC Support? Spotlighting “spaces that work” in higher education is a central goal of the LSC Roadmap. These project snapshots were collected in 2016 and 2017 and demonstrate the impact of getting the questions right that ultimately inform the process of planning and assessing spaces that work. There are currently 36 one-page summaries of projects from professionals participating in roundtables over the last 2 years. 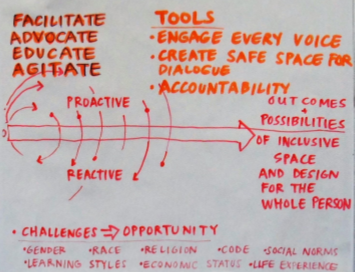 LSC Roadmap: User, Process and Future – this section is a series of essays and research that examines learning spaces across the dimensions of user, processes and the future. Template for Assessing Learning Spaces – this rubric will help you assess the current state of your own learning environment and give you a sense of where to start. Resources – this section is a collection of research and papers where users can review research and to develop a feedback loop between theory and practice. The 3 categories used to organize the research is LSC Archives, National Reports, and Resources, and References and Resources. How Else Does LSC Contribute to Thought Leadership for Learning Environments? Another way that LSC pushes the envelope on thought leadership for learning spaces is to host roundtable discussions focused on specific topics. The premise is that given time, space and a challenge, a small cadre of academics and architects could imagine planning questions more audacious than current practice. During the four-hour roundtable sessions, small working groups outline strategies for assessing the impact of the assigned topic. Each group then presents and makes the case for its strategy to the larger group. The roundtable concludes with a conversation about next steps, including individual take-home ideas. Following the roundtable, a paper will be drafted to summarize and illustrate the discussions, recommendations for future actions, and ideas for applications made after the session. What is the LSC Roundtable Schedule for 2018? Access the complete list of 2018 LSC meetings. If you share a commitment to transforming the learning environments in higher education and are interested in learning more about creating spaces that work, it will be worth your time to review the wealth of information on LSC’s new website. Another way to get involved is to participate in one of the LSC Workshops to collaborate with other like-minded collaborators.